We are engaged in providing Galangal Oil to the clients. Galangal is a yellow to olive brown liquid that is steam distilled from the dried comminuted rhizomes of the plant. 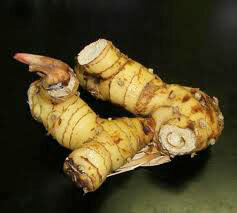 Galangal is the dried root of the plant which found mainly in eastern Himalayas and south west India. Galangal Oil is used as a spice and has wide usage in various medicinal preparations. Used as spice, Galangal Oil also finds wide application in various medicinal preparations. The Galangal Oil is useful in respiratory troubles and in rheumatism & catarrhal affections, especially in bronchial catarrh.